Experience the story of Delivering Happiness painted with colorful life lessons from Jenn Lim, CEO and Co-Founder of Delivering Happiness. Jenn will share the philosophy that Tony Hsieh applied to build Zappos into a $1Billion a year example of culture as a brand. She’ll weave in the science of happiness to understand how happiness as a business model works, zooming in on the personal element to empower every individual to choose happiness. She’ll share the simple model that can be applied to YOUR organization to create change right away, illustrating key themes with inspiring examples and takeaways at every turn. Leave understanding how prioritizing happiness at work and in life can change the world more than we ever thought possible, one person and one company at a time. And how it is all in our control. How happiness as a business model = profits, passion and purpose. The Human Case for happiness: for the first time, we know how the science of happiness can change the world. The Business Case for happiness: happier employees = happier customers = successful company. The Scientific Case for happiness: why success doesn’t create happiness, happiness creates success. The growth rate and impact of companies using happiness as a business model. Top secrets of create and live core values in an actionable, meaningful way that drives results. Culture is Everyone’s Business – the significance of co-ownership and how it ties directly to company success. Culture is your Brand & Brand is your Culture – discover how this developed for Zappos, how other organizations are achieving it, and how it can work for you. How the Happiness Frameworks of Connectedness, Progress, Control, Passion and Purpose can be tied to metrics and used to build culture. The role of vision and higher purpose as a guidance system for decision-making, growth, focus and strategy. PECs – the secret that drives Zappos and DH’s WOW customer experiences and exceptional repeat business. Why the best way to grow smartly is WOM (word of mouth). Hiring the right people who align with the Purpose, Values, & Culture will grow the business and brand naturally, as they embody the culture and live the brand. A practice of Recognition becomes a celebrated part of a powerful uplifting brand. 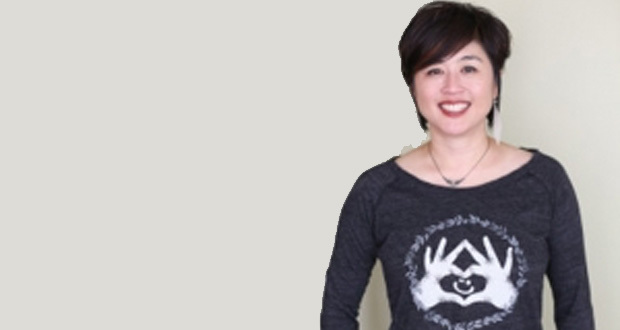 Lim, the CEO and Chief Happiness Officer of Delivering Happiness, is an author, consultant and entrepreneur. She explains the science of happiness -- that although our brains are hardwired to seek happiness, we are super bad at predicting what can sustain it. She challenges audiences to move beyond the traditional avenues of achieving happiness -- money, title, status -- and develop their own core values. Jenn is the CEO and CHO of Delivering Happiness, a company she and Tony Hsieh (CEO of Zappos.com) co-founded to inspire science-based happiness, passion and purpose at work, home and everyday life. Jenn’s experience with Zappos, combined with her development of scientific frameworks for workplace happiness, created the evidence that happier employees = happier customers = more successful companies + meaningful lives. Jenn has traveled the world to speak on this equation and most importantly, share the practical ways of HOW this equation works. Speaking points to Jenn's Delivering Happiness keynote include: Happiness as a Business Model, Living with Passion and Purpose, Culture as a Competitive Advantage, Starting, Scaling, and Sustaining Culture, and The Story of CEO Tony Hsieh and Zappos. "Things went great. Jenn Lim was a perfect choice for our program. We are happy to recommend her. Feel free to send people to me who are inquiring about hiring Jenn. We have also enjoyed working with you, Kristi, and everyone at Delivering Happiness!" "I would highly recommend Jenn Lim for any business event. Her message/presentation cuts across all kinds and sizes of businesses. Her style is warm, and she is very accommodating and approachable. We have received only positive comments about what she had to say!"